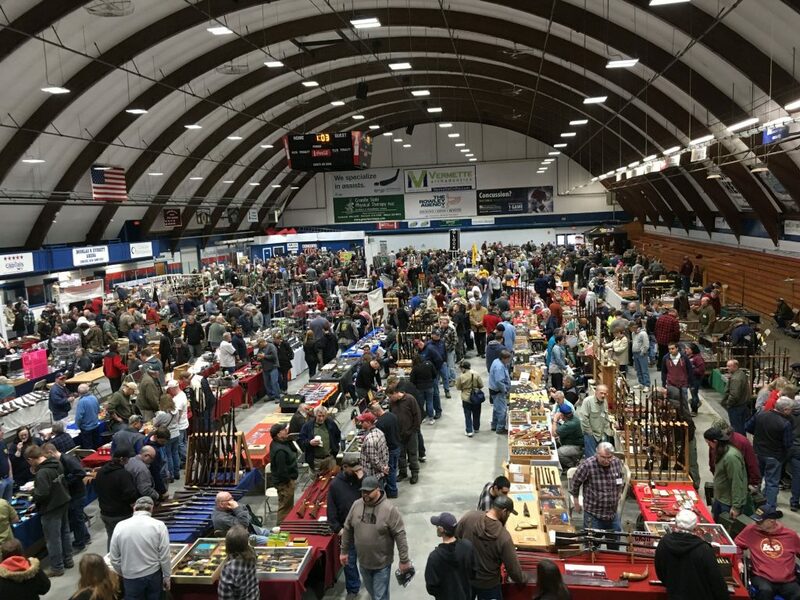 One of Everett Arena’s biggest events of the year is coming this weekend – the New England Events Gun Show. While we don’t typically spend much time writing about guns in this publication, we couldn’t ignore this two-day event that will likely bring thousands of people to the arena this weekend. The show, which will take over Everett arena Saturday from 9 a.m. to 5 p.m. and Sunday from 9 a.m. to 2 p.m., is “a celebration of our Second Amendment rights,” said Matt Mayberry, vice president of events at New England Events, the company putting on the show. There will be more than 180 tables of all things related to firearms – ammunition, targets, gun belts, holsters, protection equipment and firearms of all types. You’ll also find war memorabilia, books, posters and art, stun guns, knives and more. The show will offer a chance for firearm enthusiasts to buy, sell and trade. Attendees are welcome to bring in their own firearms to sell or trade – all weapons are secured upon entrance, and safety is of the utmost importance, Mayberry said. Anyone who wishes to purchase a firearm at the show will be subject to a federal background check. This can take some time, Mayberrry said – it’s not unusual to have to wait more than an hour for the check to be completed. That just means you can use that time to poke around the show. New England Events hosts a few gun shows across New England, but the Concord show is a favorite. This two-day show is fairly well-known among the gun community. Mayberry said it usually attracts about 3,000 visitors over the two days, and he’s expecting a similar crowd to show up this year. The Department of Veterans Affairs is sponsoring the first 250 veterans who come in at a reduced rate. Those veterans will get in for $5 per person – the regular rate is $9 per person. For more info and a list of FAQs about the show, go to newenglandevents.net/ attendees.